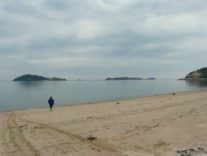 The Jindo Island is located in South Korea and it’s separated from the mainland by the Strait of Myeongnyang, a strip of sea that has a width of about 300 meters and a maximum depth of 22. 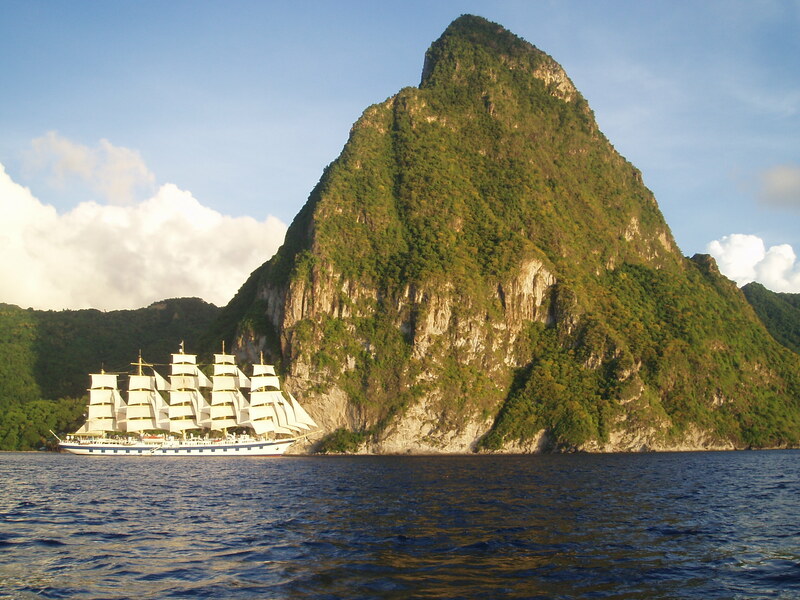 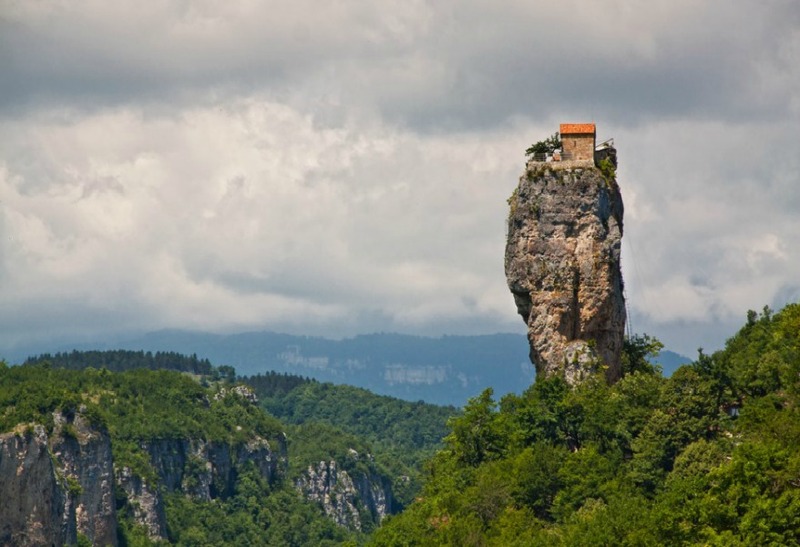 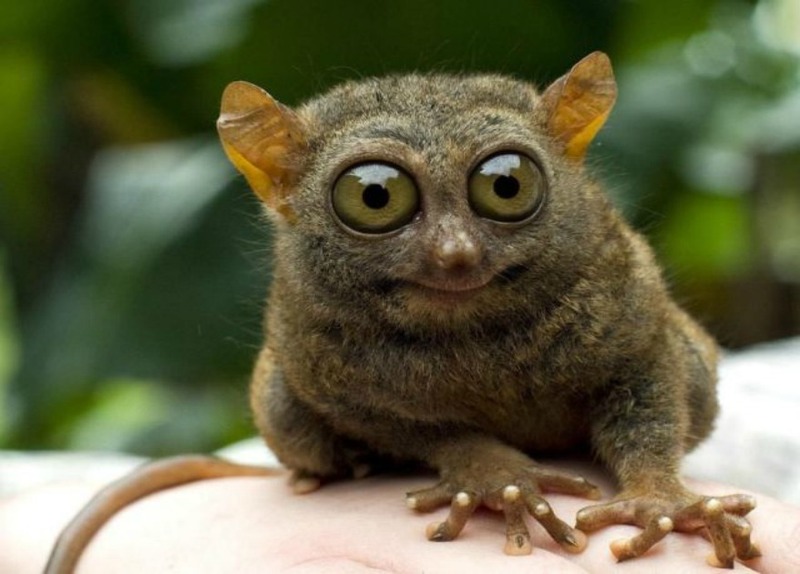 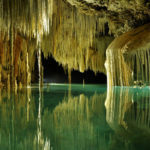 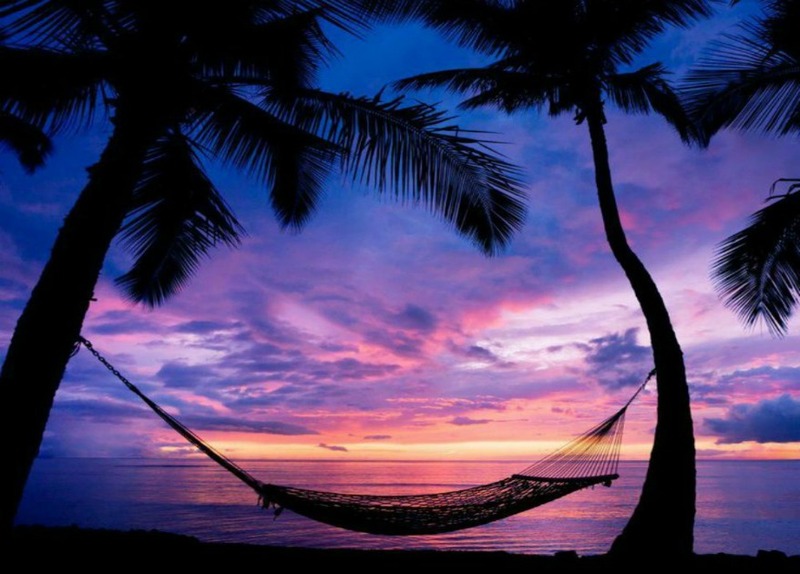 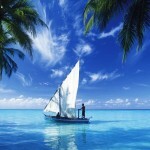 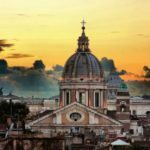 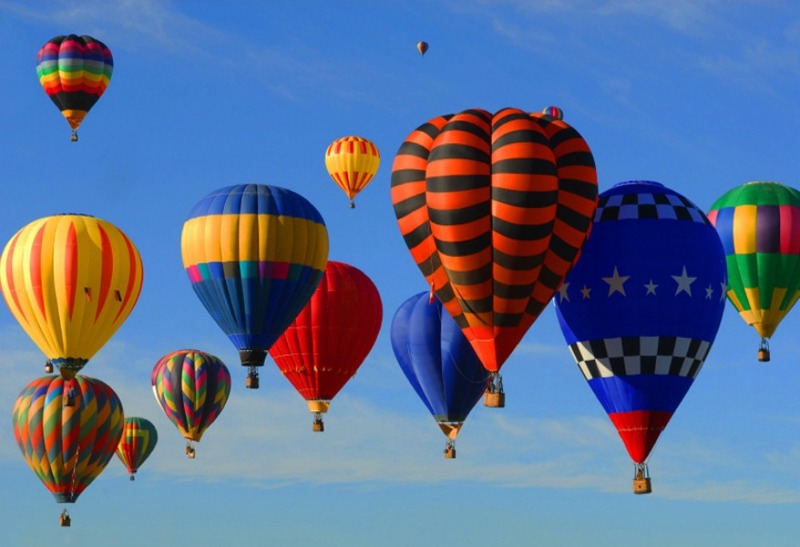 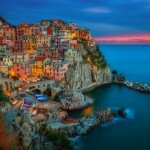 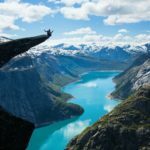 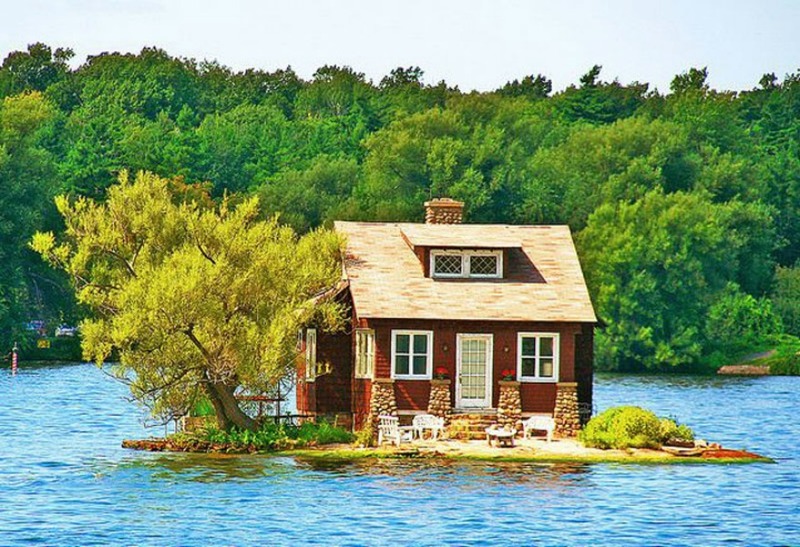 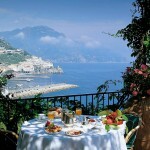 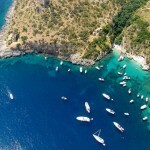 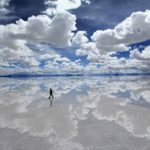 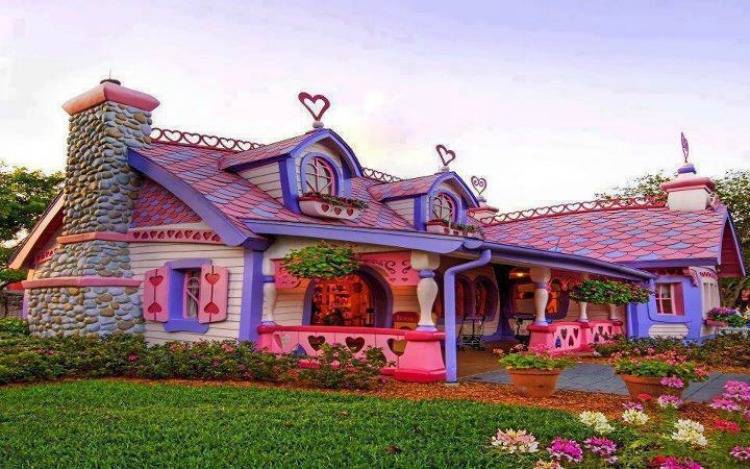 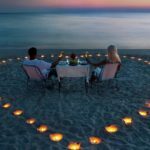 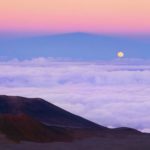 This island is the scene of one of the strangest, natural, fascinating and spectacular phenomena of our planet. 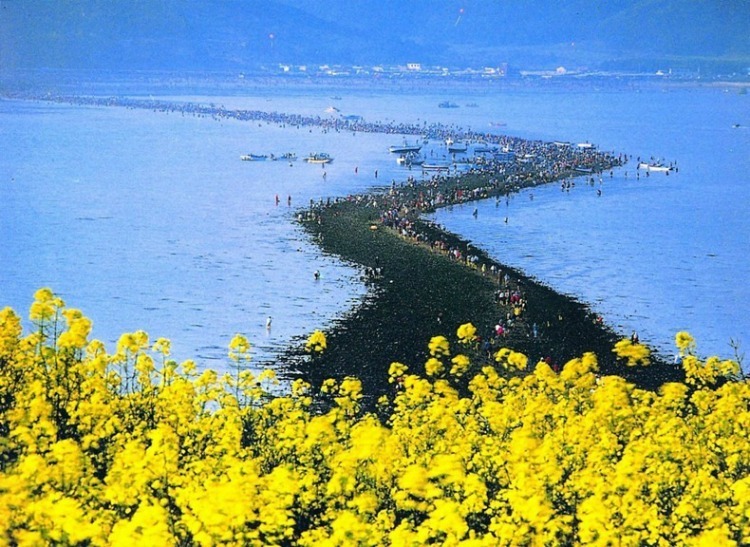 The Golden Scope want to tell you about it today because every year, in the period from March to June, the tide causes variations in sea depth of more 6 meters, this create a spectacular stretch of land that magically emerges from the sea water, about 3 km long and wide from 10 to 40 meters, and it joins the island of Jindo to island of Mode. 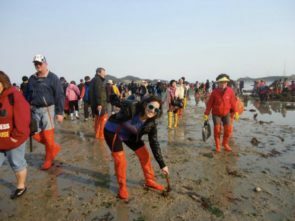 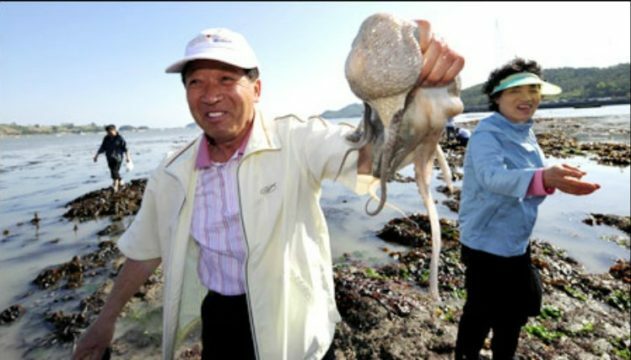 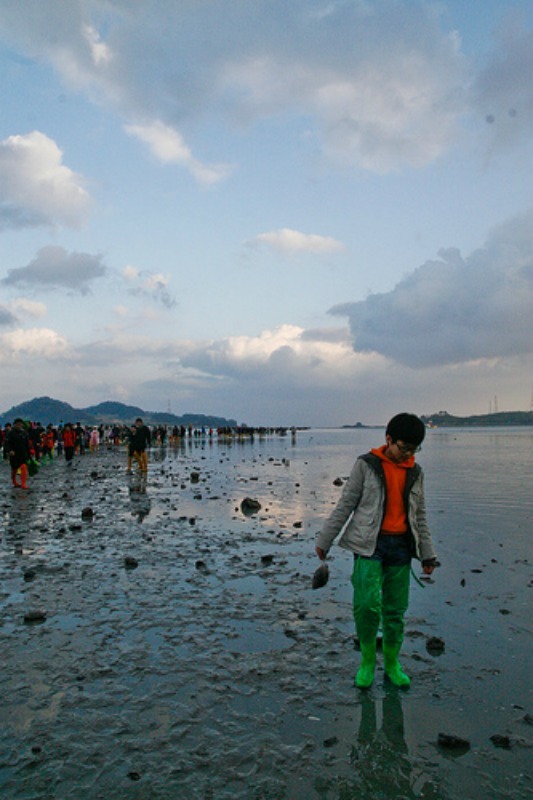 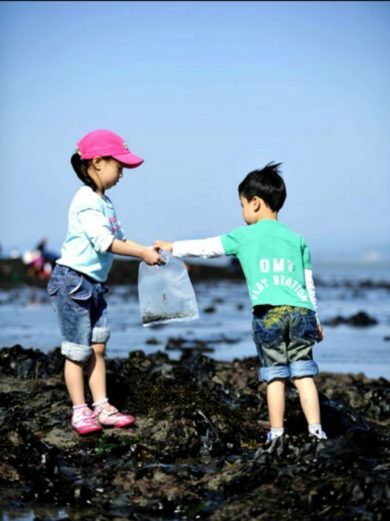 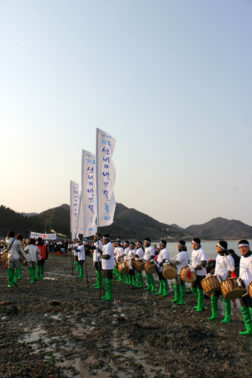 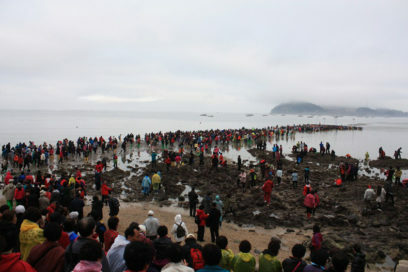 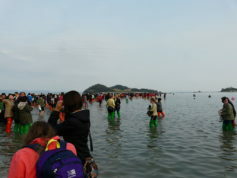 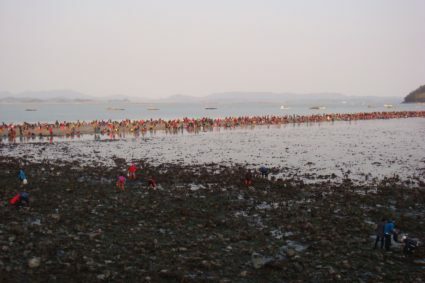 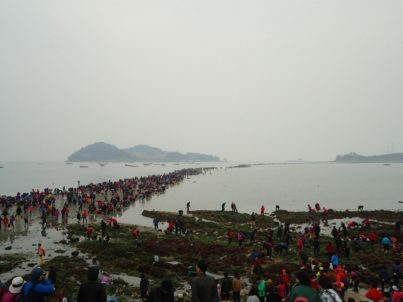 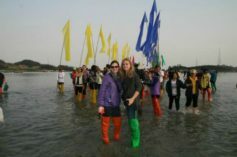 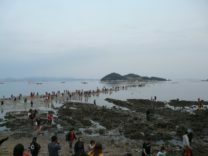 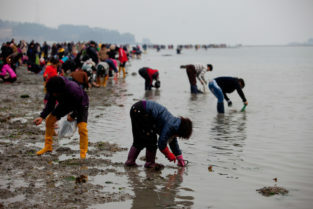 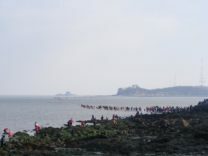 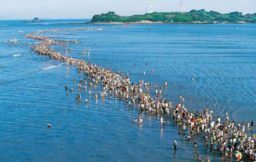 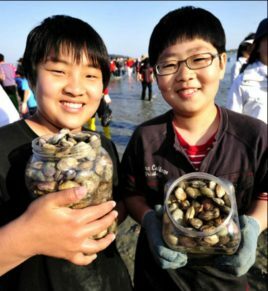 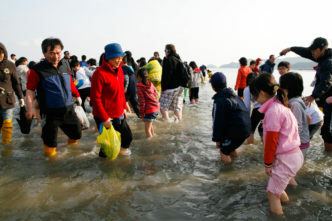 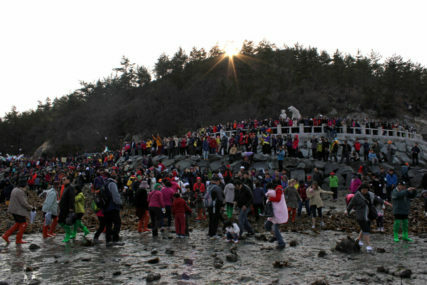 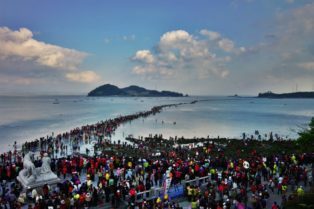 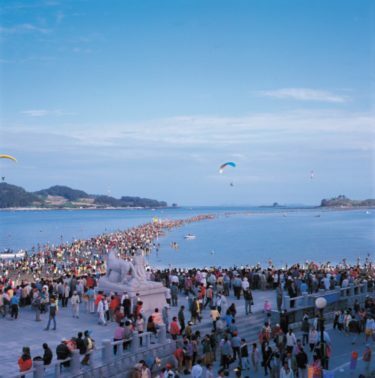 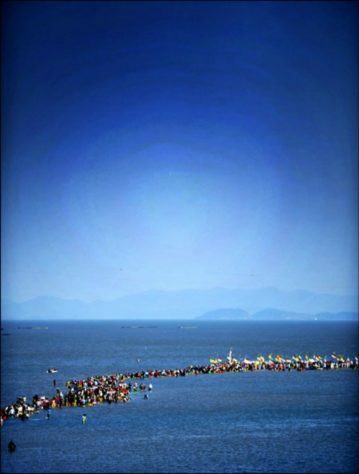 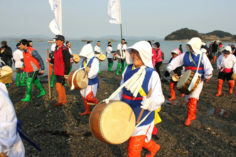 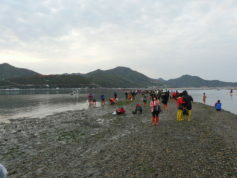 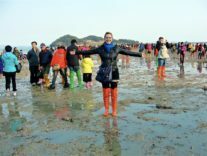 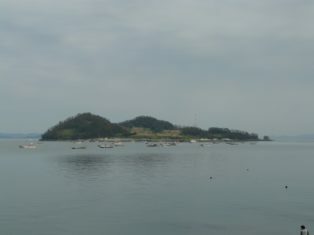 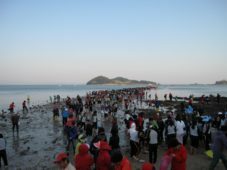 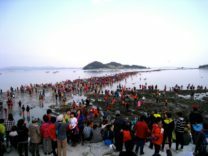 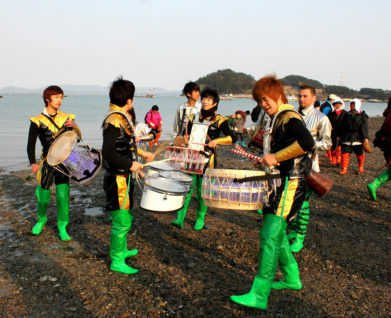 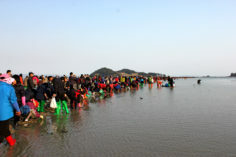 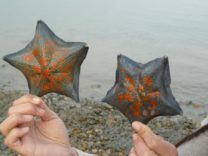 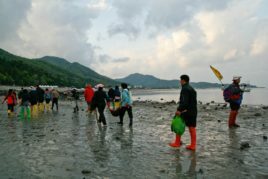 This phenomenon has a duration of only one hour per day, but it attracts hundreds of thousands of people arriving in Jindo just to try the strange feeling of walking in the sea on this small strip of land that connects the two islands only in spring, collecting shells and algae that until recently were on the sea floor. 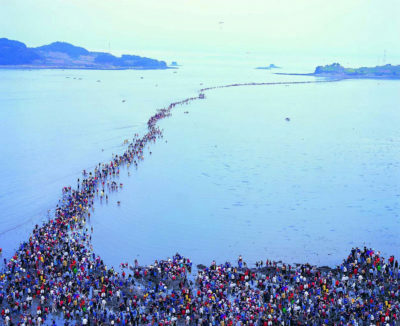 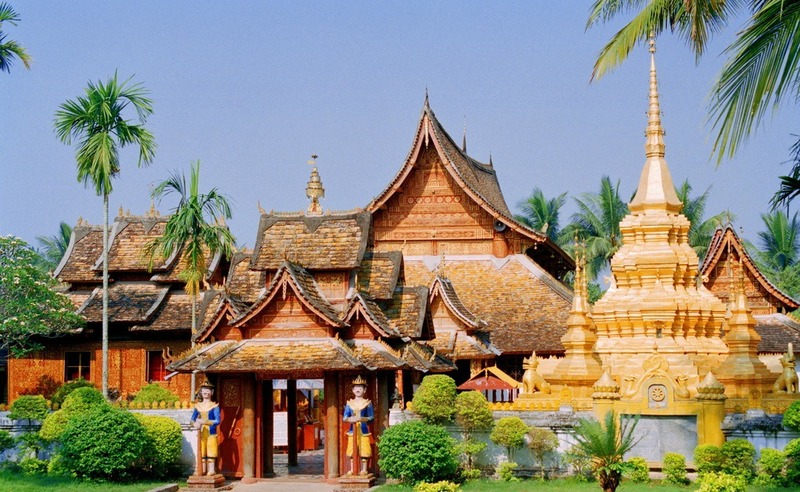 You need to know that first person told about this unknown phenomenon in Western world , comparing it to the miracle of Moses described in Exodus, was Pierre Landy, a French ambassador in South Korea, in an article written in 1975 for a newspaper of his country. 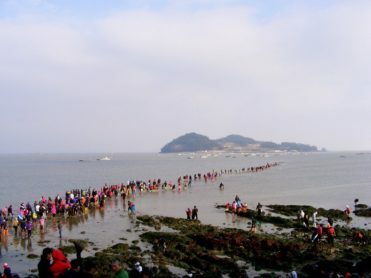 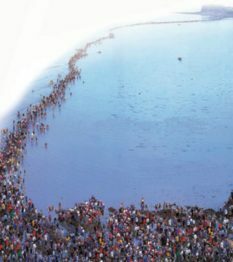 Obviously, the phenomenon has nothing miraculous but is the result of earth tides and it’s celebrated by the local people with the Jindo Sea-Parting Festival; if you observe it from a distance, this small strip of land seems a sort of snake in continuous movement formed by thousands of people who pass through it as if they were ants to return to the anthill! 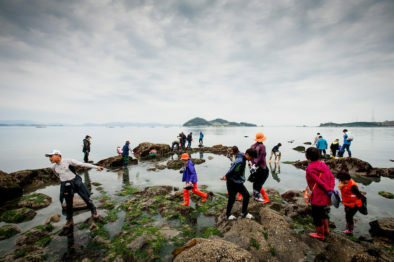 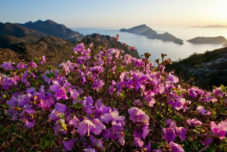 We recommend, to travelers who find themselves in that area, this spring, to visit the island of Jindo and personally to live this unique experience!